The narrative revolves around police officer Amadeus Warnebring, tone-deaf scion of a distinguished musical family, and his attempts to track down a group of six guerilla percussionists whose anarchic public performances are terrorizing the city. 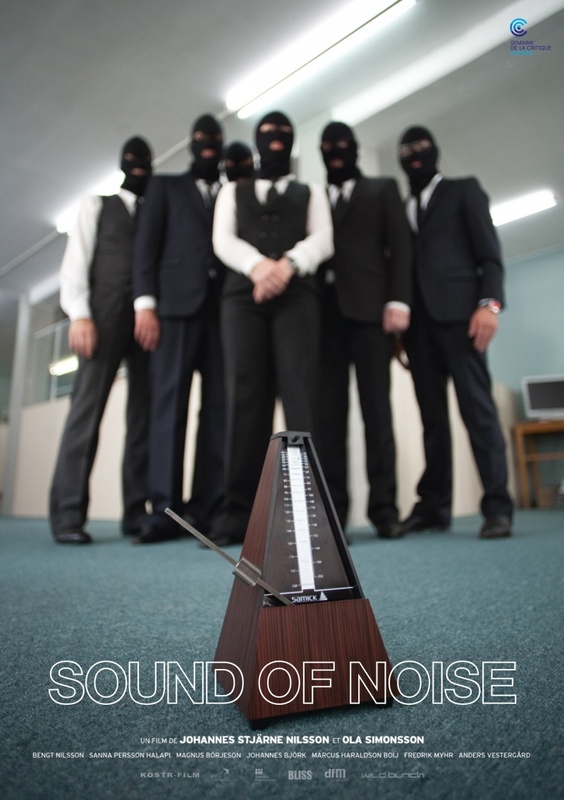 Sound of Noise is a Swedish film directed by Ola Simonsson and Johannes Stjärne Nilsson, their first feature length effort based on an earlier short film by the duo titled Music for One Apartment and Six Drummers. It premiered in the International Critics' Week section of the 2010 Cannes Film Festival. A light on story but highly original and entertaining film set in Malmö Sweden that follows the adventures of a group of six anarchistic musicians who illegally perform their avant-garde pieces throughout the city, and the tone deaf music hating police inspector on their trail. The best parts of the film are the cleverly titled and brilliantly executed musical performances themselves using an orchestra of everyday objects, which take place on a highway drumming in a van, in an operating room using the patient as an instrument, inside a bank with a money destroying tribute to Herbie Hancock, disrupting a packed opera house with heavy construction machinery, and even hanging from to power lines. All of which are an absolute joy to watch, and display an amazing achievement in sound design and choreography. Looks interesting. I'll have to go and check it out whenever I get a chance. No chance that it is on NetFlix?